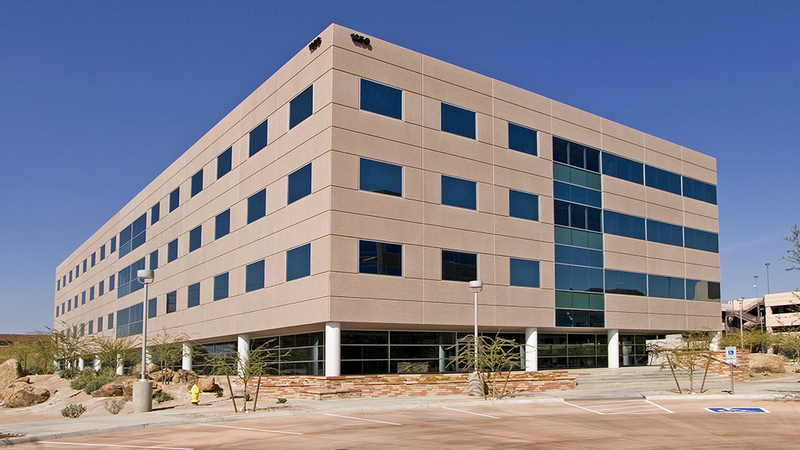 Papago Buttes Phase III is a 95,000 square foot 4 story Class A office building constructed in 2008. 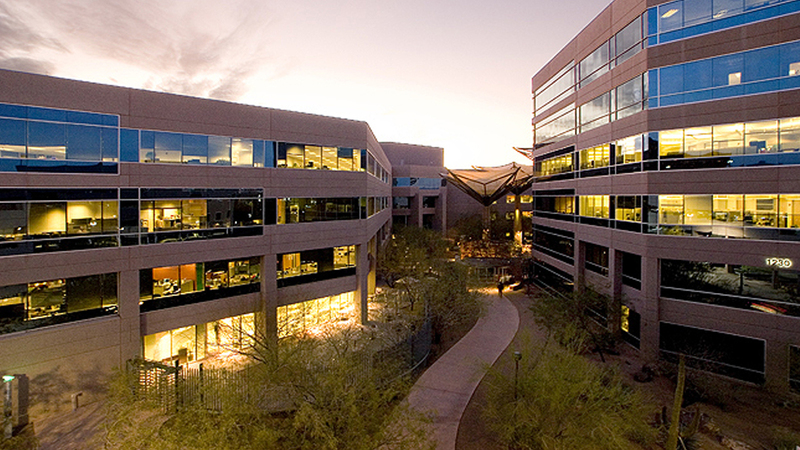 It sits on a 2.72 acre site within a 22 acres Class A office park, Papago Buttes Corporate Plaza. The 2.72 acre site is a ground-leased parcel, which was part of a larger 420,000 RSF office acquisition in 2004. 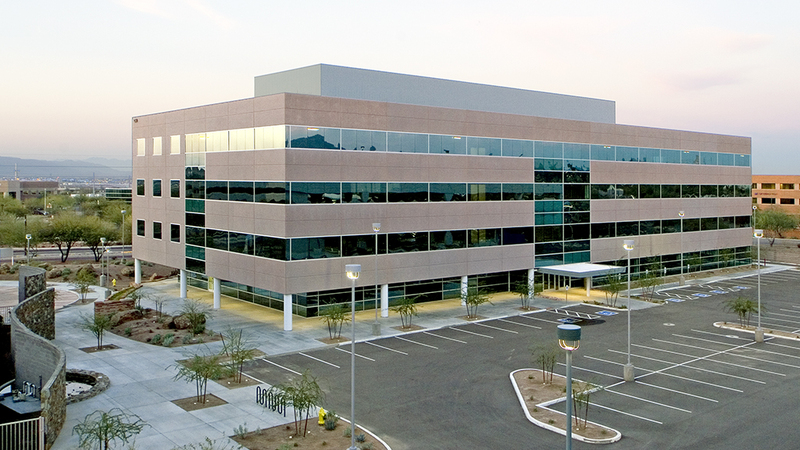 The entire Papago Buttes Corporate Plaza now includes 511,000 square feet with in excess of 2300 parking space in a multi-story parking garage, an onsite daycare, full service café, and fitness center. The project also maintains electric service from three (3) independent electric substations. The redundant power circuits, combined with UPS batter back-up systems and four (4) Cat diesel back-up generators provide outstanding utility infrastructure and support the internally developed 10,000 SF data center. 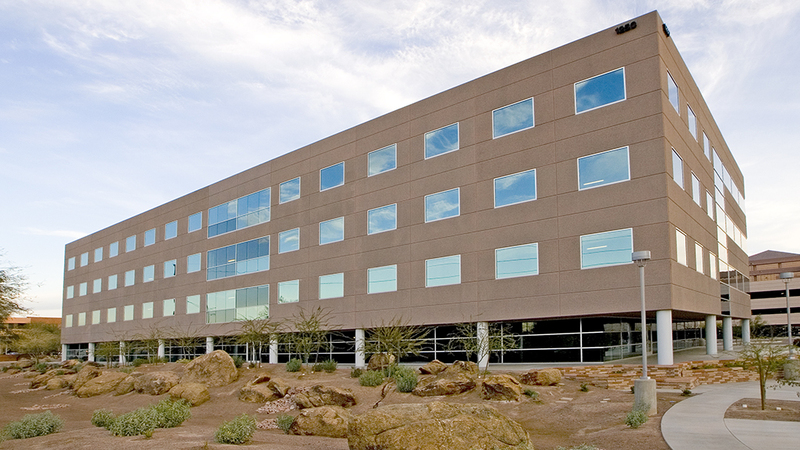 The design focus of the Papago Buttes III office building was to blend with the pre-cast and glass pallet of the existing building, incorporate the new building into the existing campus environment, and to maximize rentable area without the requirement of constructing additional structured parking. The economic goal in the Phase III design was to provide an efficient office environment, at a slight economic premium to traditional surface-parked tilt-wall office, but with a far superior value proposition to other competing projects in the North Tempe submarket. 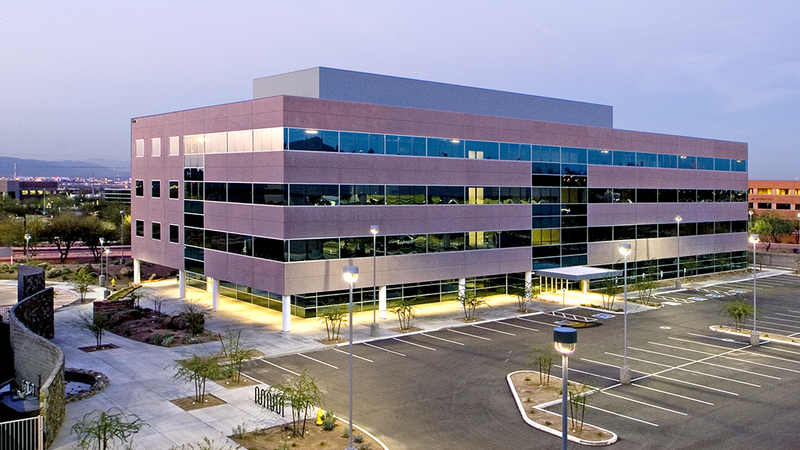 The project’s overall scale, its location adjacent to a Valley Metro Light Rail station, as well as the project’s service by three Valley Metro bus lines allows Papago Buttes Corporate Plaza to offer prospective tenants call-center density parking ratios of 5.0 to 6.0 / 1000, while only providing a physical in place ratio of 4.6/1000. 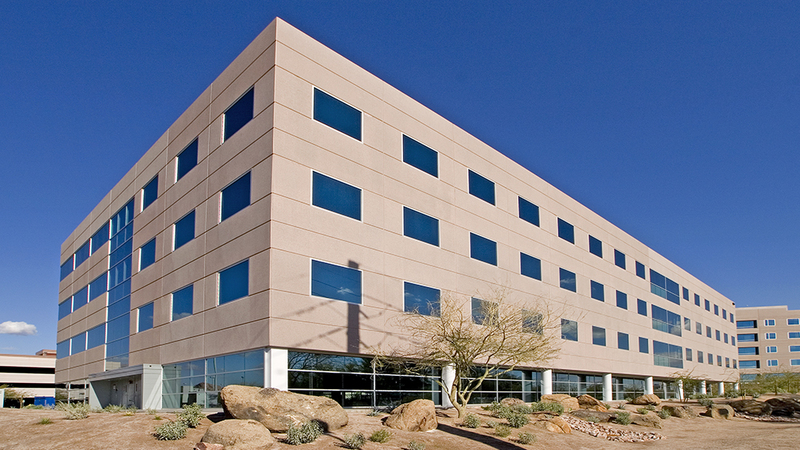 Papago Buttes Phase III reached stabilized occupancy quickly following its 2007 shell completion through an anchor lease with a 70,000 SF corporate headquarters tenant. Current plans are underway for proposed Phase IV office building and garage which will add 120,000 to 150,000 RSF of office, along with an incremental 600 to 800 parking spaces.